After eight years of stalled progress under Governor Chris Christie, New Jersey now has the opportunity to correct course and advance reproductive freedom. NIRH is continuing to work with the Cherry Hill Women’s Center (CWHC), an independent abortion provider, and New Jersey Policy Perspective (NJPP), a “think-and-do tank,” to push forward a bold and proactive policy agenda addressing the multi-issue lives that everyday people lead. The NJPP and CHWC approach centers communities that are most impacted by attacks on reproductive freedom, builds a diverse and broad coalition of community organizations, and educates and empowers lawmakers to take a firm stand to ensure that New Jersey steps forward as a leader for reproductive freedom. This project involves collaboration with SiX. 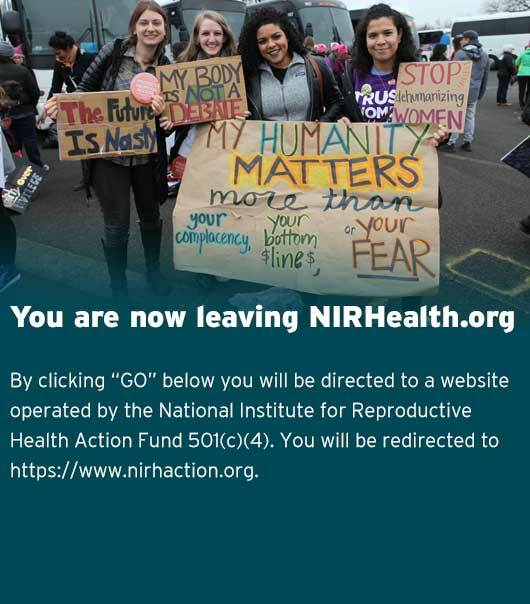 In 2018, NIRH worked with the Cherry Hill Women’s Center and NJPP to protect and strengthen reproductive health access by pushing forward a bold and proactive policy agenda that addresses the multi-issue lives that everyday people lead. NJPP and the Cherry Hill Women’s Center’s approach includes centering communities that are most impacted, building a diverse and broad coalition of community organizations, and educating and empowering lawmakers to take a firm stand to ensure that New Jersey steps forward as a leader for reproductive freedom. In 2006, NARAL Pro-Choice New Jersey spearheaded the development of a new issue-specific coalition designed to expand and enhance public awareness and access to emergency contraception in New Jersey.